The goal of this training is to have soldiers that will handle adversity in a better way, communicate more effectively with their loved ones and handle the strains they are faced with in a better way. Enhancing this type of training is especially important as it is one step closer to figuring out how to deal with PTSD. This is great news. Anything we can do to help erase the stigma of asking for help will benefit our troops and their families. 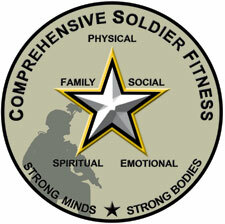 This entry was posted on March 22, 2010 by majastevanovich in Military and Troops News and tagged Comprehensive Soldier Fitness Program, Fort Jackson, PTSD, US Army.